The message from Ice Cold Flame made Shi Yan stunned. He stood there at a loss of what to do for a while. In the stone chamber adorned with crystal wall, rich auras crazily swarmed into the Soul Gathering Pearl continuously. Gradually, the Soul Gathering Pearl became sparkling and crystal-clear, revolving on Shi Yan’s palm. A plume of visible crystal light, which could be observed with naked eye, revealed on the pearl surface little by little. When a third of auras in the stone chamber disappeared into the Soul Gathering Pearl, the drop of Shi Yan’s blood became too weak to perceive. Not until this moment did the auras in the stone chamber stopped flowing. Everything returned back to normal, except the glittering Soul Gathering Pearl. As so many auras went into soul Gathering Pearl, it seemed wonderful changes happened on it. Its surface texture became more close-grained. "The descendants of the Three G.o.d Kings, as long as they have the Divine Blood Inheritance, would have the similar magic effects. Once Soul Gathering Pearl has been refined by Earth Fire, the souls in it would form a pure soul power, what makes Soul Gathering Pearl loses the ability to absorb souls and becomes a container for spirit power. The Ice Cold Flame explained slowly, and instilled in Shi Yan the knowledge of Ancient Divine Blood it knew. Shi Yan was dazed for a while, staring blankly at the Soul Gathering Pearl in his hand with a strange expression. The Ancient Divine Blood should belong to Immortal Martial Spirit. And Immortal Martial Spirit could recover the human body. It was said when refine to the most esoteric realm, Immortal Martial Spirit can recover the human body and come to life with merely one drop of essential blood. Obviously, the abnormality of the divine blood in the body was related to Immortal Martial Spirit. But it was beyond his imagination that the blood could actually repair all the treasures and weapons, and let the useless ones regain their effectiveness. This was rather a miraculous special effect. In Grace Mainland, most warriors who were born with a silver spoon have all kinds of treasures and weapons in their hands. Treasures and weapons are the lifeblood of warriors. When people engaged in battles, treasures and weapons may get damaged in bombardments and collisions. And then lose their effectiveness. Once treasures and weapons turned into junks, even the best blacksmiths can hardly get them repaired but forge new ones. When his blood was refined into essential blood, he can inject it into treasures and weapons with arcane methods, which could made them recover in a short time. The effect like this is very extraordinary. Shi Yan’s eyes suddenly lighted up. He recalled that Emperor Yangqing had entered a drop of essential blood into Yanghai’s body, and even after several decades he could still get Yanghai's location through that drop of immortal blood. 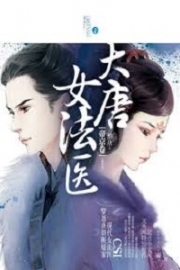 Some time ago, Emperor Yangqing used three drops of immortal blood to calculate Shi Yan’s life and death, and then let Mo Duanhun come to Clouds Island to find him. Obviously, Emperor Yangqing had known how to refine the immortal blood and the magical effect of the immortal blood. Since thinking about this, Shi Yan recollected himself. He glanced down at Soul Gathering Pearl, and communicated with Ice Cold Flame: "Got it. Now I begin to drive pure soul power in Soul Gathering Pearl to Xia Yinyan’s soul. Well, final confirmation. There will be nothing wrong with one extra drop of my blood in Soul Gathering Pearl, right? Shi Yan put his mind at ease finally. Looking at the beauty in the bed, Shi Yan’s eyes showed his sorrow. He gently helped her up, and get on the stone bed at the same time, sitting cross-legged face to face with her. With Soul Gathering Pearl in one hand, Shi Yan reached out the other and held her slim cold hand, placing it on Soul Gathering Pearl. Slowly closing his eyes, Shi Yan held his breath and concentrated his mind, then put a wisp of consciousness into Soul Gathering Pearl. According to the method Ice Cold Flame said, he let his consciousness lead the soul power in Soul Gathering Pearl and tried to pull it out of the pearl. There was no difficulty. Under the guidance of his mental consciousness, a wisp of pure soul power, like a brand new bright filament, was taken out from Soul Gathering Pearl without stagnation, and quietly dived into the Xia Xinyan’ cold palm. Cheerfully, Shi Yan led this wisp of pure soul power to the brain area of Xia Xinyan's with his consciousness slowly. This wisp of soul power went along the meridian line of her arms, pa.s.sed through her white slender neck, paused for a while and then went into her brain area. When Shi Yan’s consciousness went into her brain area, Shi Yan had a quake in mind. Dimly, he felt himself fell into a soul battleground. A variety of quick and forceful soul powers suddenly emerged in large numbers from her mind sea, full of hostility, and unexpectedly appeared like want to kill the wisp of Shi Yan’s consciousness. Shi Yan’s facial expression did not changed. He had heard of the situation such as this from Ice Cold Flame. He took back his consciousness from the mind sea of Xia xinyan’s with lightning-fast speed. Nevertheless, the pure soul power which led by his consciousness, had easily got into Xia xinyan’s mind sea, owing to the guidance of his consciousness before. A strong soul wave came from Xia xinyan’s brain area all of a sudden. The soul wave was overwhelming with extremely violent rage, like a soul storm which can get any souls killed for a second. Calm and unhurried, Shi Yan hold Soul Gathering Pearl tightly and opened his mind to make his consciousness into an emptying situation. At this moment, Shi Yan’s soul seemed to be invisible. The soul storm from Xia Xinyan raged in the stone chamber for a while, and gradually subsided. When Shi Yan could not detect any abnormalities, he refined another wisp of spiritual consciousness into Soul Gathering Pearl by the same way, to bring out more soul power and bring into the Xia Xinyan’s brain zone. Every time his consciousness fell into her brain zone, from her body, would immediately come the violent soul storm from her body with instinctual conflict emotions. And at this time, Shi Yan would not be fight it head-on. He would hide all the consciousness rapidly, even his own soul breath, in accordance with the method from Ice Cold Flame. Until her soul counterattack disappeared, Shi Yan began to bring out more soul powers and lead into her brain zone again. Shi Yan was not impatient, little by little, again and again. 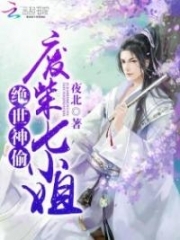 Gradually, he found that along with the constant injection of the soul power, the soul counterattack from Xia Xinyan, had begun to reduce by degrees. A delighted smile appeared on his face quietly. He knew that this method from Ice Cold Flame worked. With the injection of those pure soul powers, those scattered fragments of Xia Xinyan’s consciousness had been gathered slowly. Xia Xinyan seemed to have a weak self-consciousness, and seemed to know her situation gradually. Feeling relieved, Shi Yan didn't dare to hesitate, he pulled out more pure soul powers into Xia Xinyan’s mind sea. Finally one day, when Shi Yan took a wisp of soul power into her brain zone, but did not perceive her soul counterattacks. She did not instinctively let her soul power break out and make attacks on Shi Yan. As the soul power was taken in, Xia Xinyan’s consciousness showed signs of waking up. Shi Yan clearly felt that there was a soul power in Soul Gathering Pear. It flew out initiatively and slowly toward Xia Xinyan’s arm, led by something. Shi Yan suddenly opened his eyes. In front him, the beauty with Rosy cheek, was breathing evenly. Although she still tightly knitted her eyebrows, but at least she had expressions. -- She subconsciously absorbed the useful power for her soul recovery. Shi Yan immediately came to this conclusion. In this way, he could rest a.s.sured, knowing that the soul power that went into Xia Xinyan’s brain zone these days had begun to play its due role. “Done” Ice Cold flame sent the message over initiatively "From now on, she has learned how to absorb the soul power inside Soul Gathering Pear on her own. You don’t need to guide her any more. Well, you can finally work on your own business. Now, I will tell you how to get consciousness mutation and turn it into Soul consciousness through the absorption of the soul power. Then you can gather Soul consciousness to form your Sea of Consciousness." Shi Yan’s eyes suddenly lit up. You're Read God Of Slaughter c208 online at NovelOnlineFull.com. You can use the follow function to bookmark your favorite novel ( Only for registered users ). If you find any errors ( can't read,broken links, can't load photos, etc.. ), Please let us know so we can fix it as soon as possible. And when you start a conversation or debate about a certain topic with other people, please do not offend them just because you don't like their opinions. You're reading God Of Slaughter. This manga has been translated by Updating. Author(s): Ni Cang Tian,逆蒼天. Already has 7339 views. Current Time is 23-Apr-2019 10:50:33 AM.